Are you looking for an innovative Android phone? Smartphones have lacked creative design for a long time. The bezels are considered as a useless and ugly strip that taints the appearance of your phone. 2017 is the year of bezel-less phones as more manufacturers are getting on this bandwagon. As it was stated that smartphones were lacking innovation, famous brands made some changes. The most innovative design was a bezel-less phone. In this article, we have a closer look at the trend of bezel-less phones. Have a look at the how the idea was brought to the market. 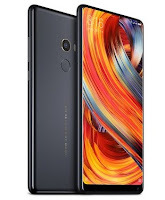 Xiaomi Mi Mix grabbed the attention of all the smartphone users by reviving the trend of the bezel-less phone. Last October Xiaomi Mi launched a phone that was inspired by Sharp. In 2014, Sharp introduced a phone with a larger screen. Unfortunately, the phone was not a success, it gave an idea about the futuristic phone. The notion of the bezel-less phone has been around for many years but it was just a concept. 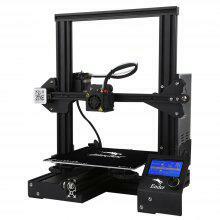 It was in recent times, we have witnessed the manufacturers moving in this direction. The trend of bigger screens and smaller bodies have paved the way for bezel-less designs. This creative idea was adopted by Xiaomi and created the Mi Mix with very little bezel. The phone has a 6.4-inch screen with the screen to body ratio of more than 80%. This phone was appealing to the customers because it has the resemblance of a phone from the future. Xiaomi took this notion to a next level by designing a phone with great specs. The issue with this phone was that it was not available to all everyone as its release was limited. The bezel-less Android phone has created some challenges for the manufacturers. For example, where to place the cameras, fingerprint sensors, speakers, and button? How will you hold the phone without activating the screen? So far, no one has really found a solution for this, but it is not impossible. The fingerprint sensor has been shifted to the back of the phone. The buttons are shifted onto the screen, this is has been quiet for some time. The physical buttons take up plenty of space and make the phone look worthless. Moreover, the dual speakers are essential for producing amazing sound. The companies are moving away from this design. Most of the people wear headphones anyway, so changing the position of the speakers to top or bottom is not a problem. However, the only issue that is huge is the front camera. In the age of selfies, having a front camera is crucial. In Mi Mix, the company moved the camera to the bottom while in the Essential’s idea was a cut-out. This dipped the camera into the screen. Both of these ideas made the phone look weird and made the smartphone look less appealing. Here are a couple some of the top bezel-less phones available on the market. One of the most popular bezel-less phone producers is none other than LG. The company has been on the bandwagon of bezel-less from a few years. They gave the bezel-less design a shot with their flagship phone Q6. The phone featured a screen resolution of 2160x1080 with the elongated display. The phone has an aluminum frame with a great camera of 13 megapixel rear and 5-megapixel front camera. The phone is powered by Qualcomm Snapdragon 435 processor and Android 7.1.1. This Android phone can be bought for $321. Another smartphone that has bezel-less design the Xiaomi Mi Mix 2. The phone has a curved corner with 18:9 aspect ratio. The PPI has increased to 403 with the resolution of 2160 x 1080. The screen of the phone is 5.99 inches. The phone is powered by the new Snapdragon 835 CPU and 6 GB RAM. 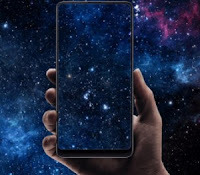 The phone by Xiaomi is among the bezel less phones with outstanding specs. 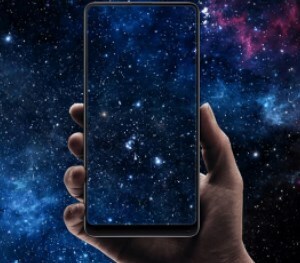 Popular brands like Sony, Apple, Samsung, Huawei, and other manufacturers have joined the bezel less race. The large screens are great from a visual point of view as they provide a lot of space to display content. The text is readable and buttons are of the right size for easy interaction. It is therefore not surprising that this new phone feature isn't restricted to just expensive phones. 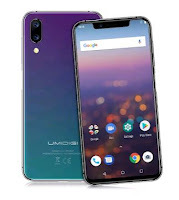 In fact a great number of new cheap phones have integrated the bezel-less design and offer remarkably good specs and styling for the value. Chinese phone manufactures including Doogee, UmiDigi, BluBoo, VKWorld, and Elephone are just a few who have taken on this new trend for 2017 and we expect o see many more before the year is out.